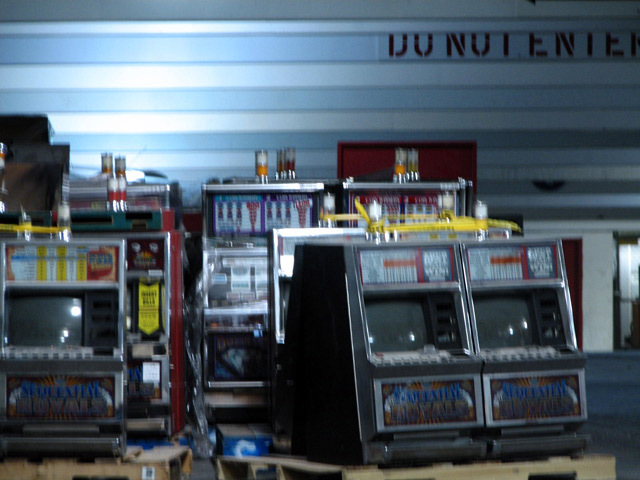 The ground floor of Binion's rear parking garage is a virtual garbage dump of busted old slots and video poker machines, table game pieces, stools and other unwanted casino fixtures. It's a gold mine of cool collectable Vegas goodies. © 2019 VegasTripping.com - 15 North Inc, All Rights Reserved, dude.